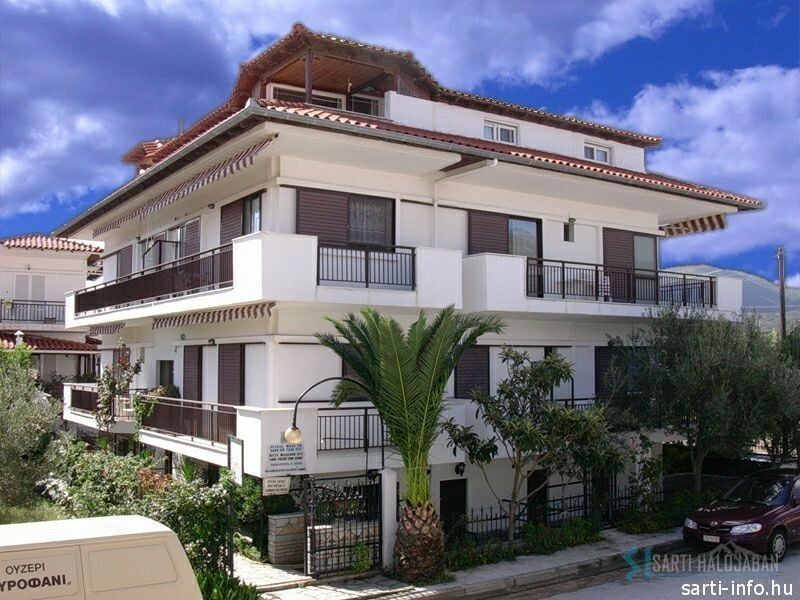 The house is situated in New Sarti, not far away from the big parking place, 100 m from the sandy beach. Close to the house you can find supermarkets, bakery, souvenir shops and tavern. In the house we offer 2-3 beds studios and 4-5 bed apartments. The house is proposed for all ages, pleasantly for families. 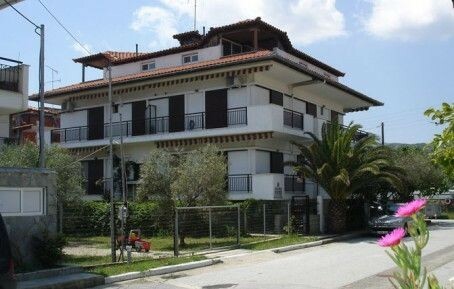 Good choice if you would like comfortably holidays, because it is very close to the beach and not far from the center of Sarti and from the entertainment facilities of the lively night life.